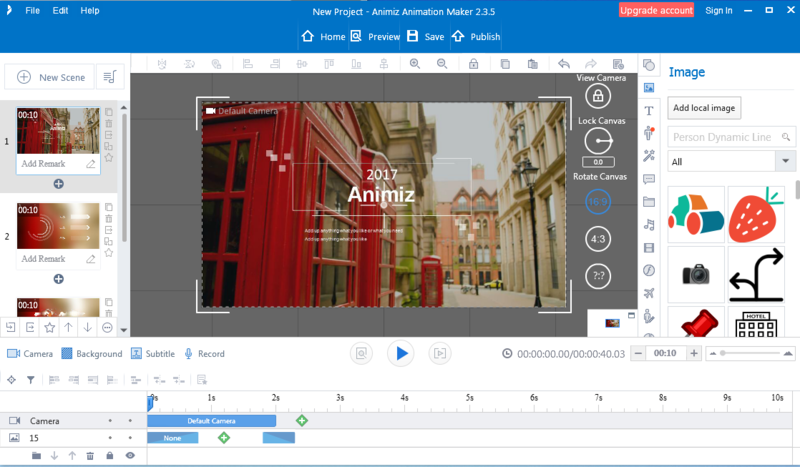 It is available to create a new project from PPTX, which makes it quite easy to make the animation. 1.Click “New Project From PPTX” and choose a PPTX file to import into. 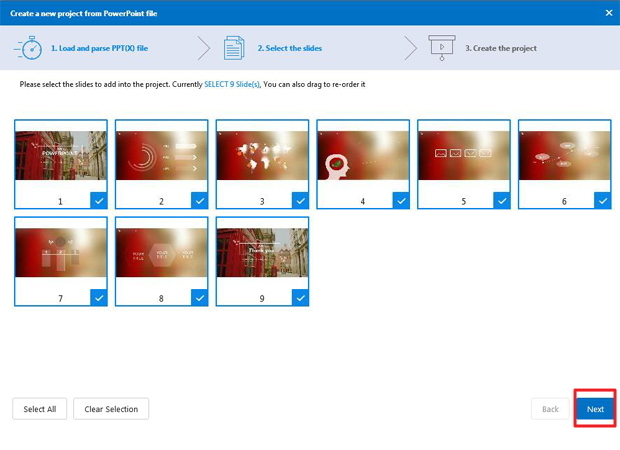 2.Select the slides needed for the projects. Click “Next” to create a project in minutes. Previous： How to open a project ? 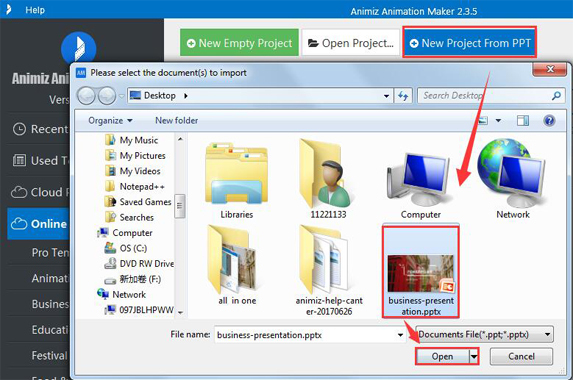 Next：How to install Animiz ?